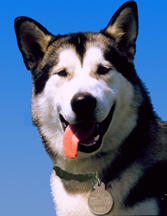 Dogs and Cats are required to be licensed in the city limits of Albert Lea. Licenses are renewed every 2 years in March of an even year, e.g. 2018, 2020, 2022 etc. Proof of vaccination, as well as proof of spaying or neutering is required for licensing. The cost of a two year license is $60 if the animal is not spayed/neutered and $10 if the animal is spayed/neutered. A license may be purchased at the City Finance Department on the top floor of City Hall, 221 E. Clark Street. Call 507-377-4300 for more information.